So, everything is great about this one but I still have a missing piece for myself. What the second part of this sentences from the article as such mean? In addition to the three primary queries, there is a raycasting interface which can be used to retrieve tagged surface types and A CUSTOM WATERIGHT ROOM MESH CAN BE COPIED OUT. Can you please help me and guide to relative posts on the Forum which refer to that one because I really want to understand what did the author mean in that article. Are they connected with each other or these ones are two different fields of work? As a conclusion, I wish I formulated my quiries clearly. I'll really excited to know 1) what technics for "advanced mesh cutting" we have and 2) what the second part of the sentence from that article really means. At the bottom of the article the author explains the ray casting interface under the Ray Casting section. As for a watertight room mesh, the author is referring to the mesh created using Spatial Understanding. The Spatial Understanding script creates a really clean neat mesh that developers can use to actually allow models/holograms to collide against it. Whereas with the Spatial Mapping this was not possible because the mesh created by it has a lot of holes in it. You can test this by trying to place a model with a rigid body on a Spatial mapping mesh vs. a Spatial Understanding mesh. You will quickly see your model fall right through the floor on the first one. 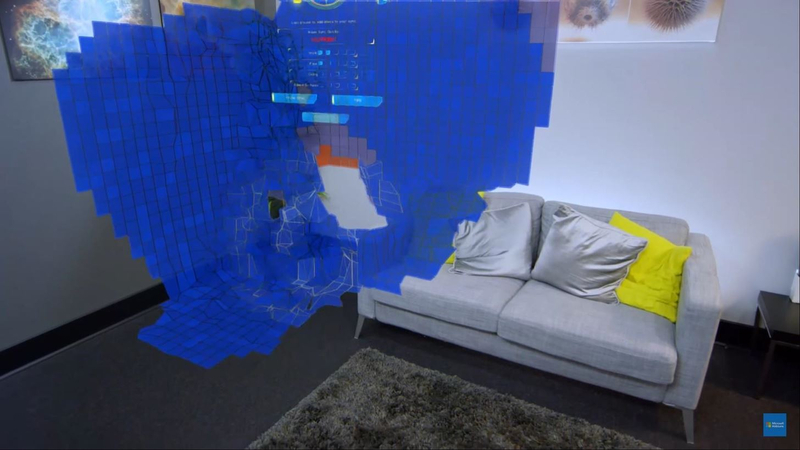 You can also see the room mesh try to connect itself in the Spatial Understanding whenever you finish scanning and call the RequestFinishScan method inside of it. For example, if you were to scan a room and the door was open, the script doesn't put any mesh there, however whenever you call the RequestFinishScan the script attempts to connect everything that has been scanned and connects the mesh from one side of the door to the other to try and enclose the mesh into a room.